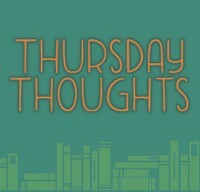 Thursday Thoughts is an original, weekly meme created on Ok, Let’s Read. Each weeka new, conversational topic is posted to encourage talking about a specific, book-related topic. This weeks topic is Cover Changes. In an ideal world, when I collect a series of books I would love to own a complete set with matching covers. It looks uniform and pleasing on the bookshelf, and the series is easily identifiable. In reality, however, this isn’t always possible. Take A Song of Ice and Fire – a series in progress. I’ve been collecting these books for a number of years, and I did manage to buy some of them with what I would consider to be a ‘set’ of covers; they look like they belong to the same series, and the books are the same size. In more recent times the books were reprinted with different covers. The books themselves were also resized (larger than the books I already own). Add to this another edition with tv-series tie-in covers and you’re left with a wide variety of choice in terms of cover art for the same books. I first borrowed Game of Thrones from the library. 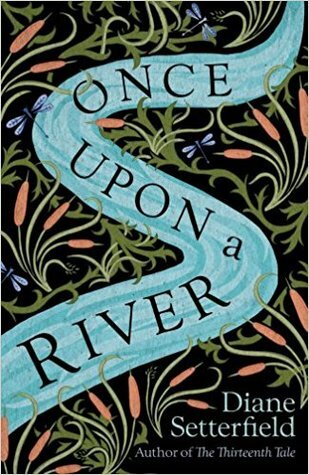 It was my first forage into fantasy and I didn’t know whether I would enjoy it, so borrowing seemed favourable to buying. I became so addicted to the world of Westeros that I immediately went out to buy the rest of the series available at that time, which I managed to get for a really good price (probably as they were phasing them out in favour of an updated edition with new covers, which still weren’t tv tie-in at that point). I read my books almost in succession, and remained such a big fan that I wanted the complete set (remember I borrowed the first book from the library?). By the time I decided to buy the first book, the tv-tie in with Ned Stark on the cover seemed the most popular option, and the most readily available, so I bought that, and it definitely didn’t marry up with the rest of my books. By the time Dance With Dragons came out in paperback, it had what I call the ‘newer’ edition covers, but again, not tv tie-in, so I bought what was available. In the end, my collection of my all-time favourite book series is a bit of a mish mash in terms of covers, so now the cover issue tends not to bother me too much. Ideally, of course I would love a matching set, and that’s the beauty of coming into a series once it’s already complete – you can buy the whole series as a ‘complete’ set and they will all match. I did this with the Chaos Walking trilogy and the Hunger Games trilogy. As for movie tie-in covers, I don’t mind them, and think anything that brings a wonderful book into the mind of a potential new audience is a good thing. I really like the cover of my edition of The Book Thief, which is this one, but I also thought the movie tie-in was really nice too. Anything that encourages people to pick up a book has got to be a positive thing. It’s easy to say don’t judge a book by its cover, and equally as easy to do exactly that, so I do think covers are important. I noticed a book on a price drop website recently, and the cover design instantly caught my eye. On further investigation I found it was a book that I’d actually purchased quite a while ago, with a different cover, and suddenly, mainly due to the redesign, my interest is back again and I’ve put that book high on my TBR list (Temeraire, just in case anyone was wondering). Recent covers which have caught my eye (and are both books that I really want to read very soon) are those for The Paying Guests and The Bone Clocks, which I think is absolutely beautiful. This is a great post… I completely agree with your point on movie tie-in covers, they really do bring a book new attention! I don’t think I’ve ever bought an entire series at once, but I do have several that are already finished so it’s easy to get uniform editions. Here’s my post for TT: http://ofdragonsandhearts.com/2014/09/thursday-thoughts-cover-changes/ ! You make a good point about it being easy to get a full set when the series is done. I might start doing that in future — reading from the library/getting the ebooks, and then getting the series when they’re complete. There are some really nice boxsets available now too, so when the series gets completed I may have to treat myself. I think the movie artwork for Gatsby was really eye-catching, so definitely one to draw in new readers.